Available year-round, our yoga vacation program is designed to recharge your energy, rejuvenate your body and mind, and leave you feeling inspired, centered, and peaceful. Whether you are new to yoga or a well-established practitioner, the yoga vacation program invites you to step outside the challenges and complexities of everyday life and return to what’s important. Reconnect with yourself. 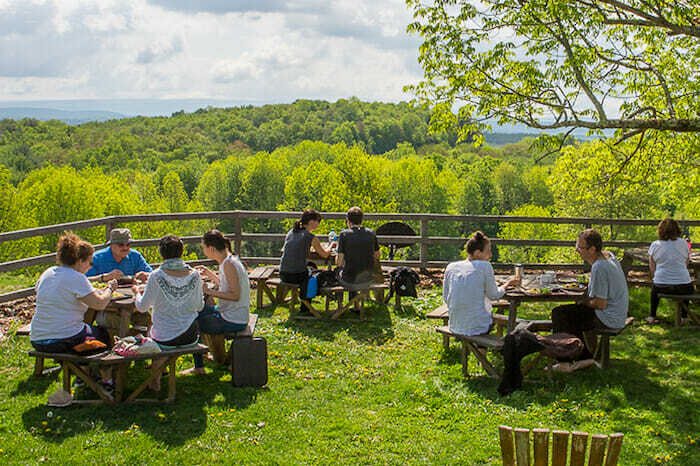 Come immerse yourself in our traditional ashram environment set on 77 acres of beautiful, wooded land in the Catskill Mountains. Transform your life. Access to our traditional Russian Banya, or wood-burning sauna – a favorite among guests seeking detoxification, soothing sore muscles, or simply a warm place for reflection. This powerful and harmonious program is based on the 5 Points of Yoga by Swami Vishnudevananda. 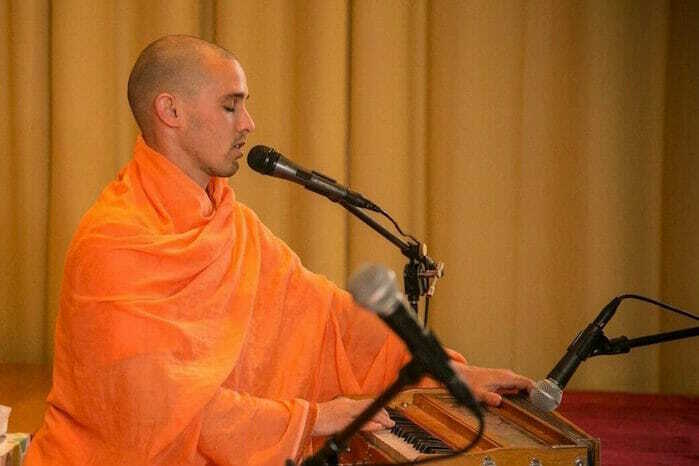 The “secret” is in tuning to the ashram’s daily schedule. Come for a weekend, a week, or better yet, stay for a couple weeks to experience the complete benefits a Yoga lifestyle offers. Begin to discover your true nature and develop skills to improve the health of your body and mind. Establish a solid foundation to living a life of peace and happiness. The Yoga Ranch also offers special theme retreats to enhance your experience even further. These range from learning how to cook great vegetarian food to enjoying the performances of special music guests from around the world and much more. Curious what’s going on this week at the Ranch? Come join us! 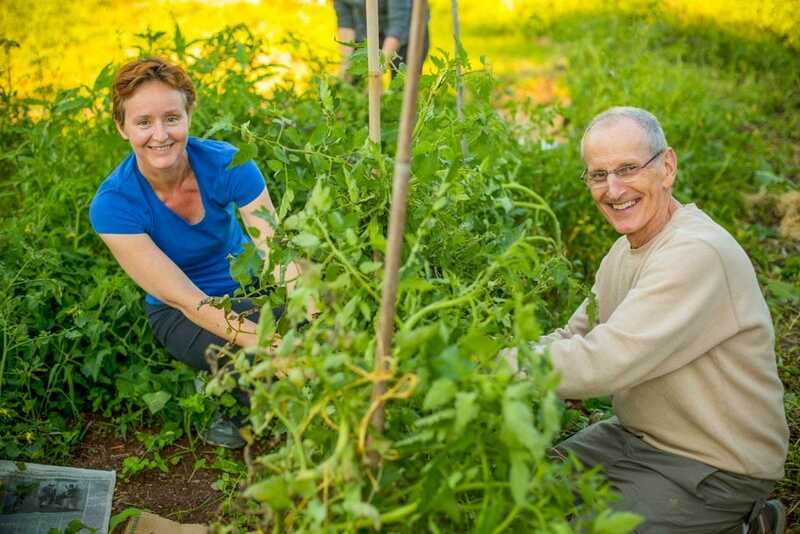 The Sivananda Yoga Ranch, an inspiring community of kindred spirits working together, is the perfect environment for you to practice Karma Yoga (selfless service) on your yoga vacation. All guests are encouraged to participate for 45 minutes to an hour a day. 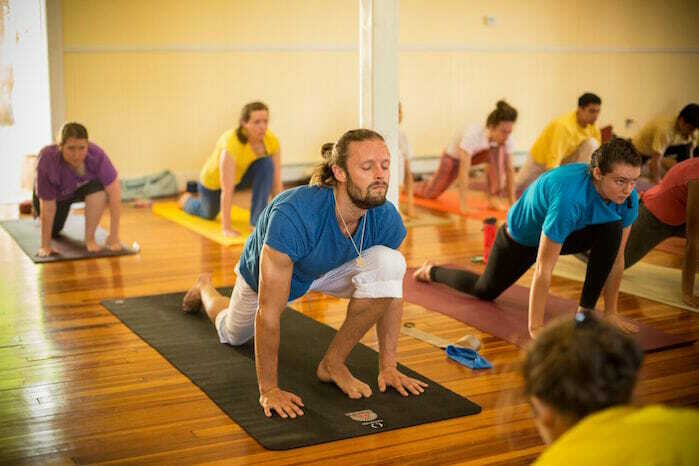 Helping around the ashram not only gives you the opportunity to meet like-minded practitioners, connect, and be a part of this community, but it’s also a Yogic gift that opens you into a deeper understanding of yourself. The first path of the Four Paths of Yoga, Karma Yoga is the foundation on which all Yogic practice is based. The Sivananda Yoga Ranch is a wonderful weekend escape from the hustle and bustle of city living. During our summer months, consider offering yourself an Ayurvedic body treatment or a therapeutic massage from our Wellness Center. If you are feeling more energetic and adventurous, perhaps bringing a bicycle to explore the miles of Catskill mountain roads will be a perfect fit. Or maybe you are more called to a country walk or to relax and detoxify in our wood-burning sauna… There is plenty of free time for whatever your choice. The yoga vacation is a unique opportunity to relax and rejuvenate, a break from the stresses and strains of your daily life. It is not like any other holiday you have experienced.